A tanker truck illegally takes water from a river in Jordan, where groundwater levels are dropping over 1 meter per year, and half of freshwater supplies are stolen, lost in transmission or otherwise unaccounted for. By the study's measures, the world's most water-vulnerable countries are Jordan, Yemen and Djibouti. The three countries have much in common, including low rainfall, limited surface water storage, excessive groundwater mining, high dependence on waters shared by neighboring countries and the importation of most food calories. 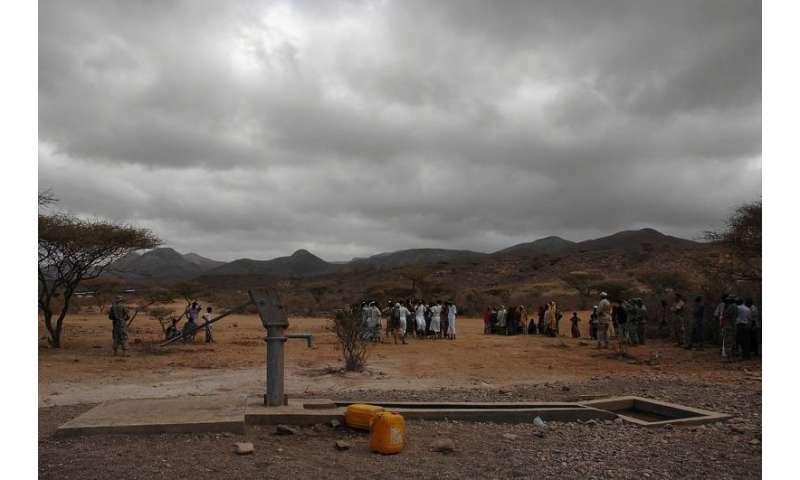 Residents dedicate a well during a ceremony in Djibouti, a country that struggles with problems stemming from groundwater over-extraction, limited surface water supplies and high levels of corruption. In light of ongoing conflicts in the Middle East and North Africa, the report provides a roadmap for how influential countries such as the United States could help the region's vulnerable nations steer clear of destabilizing water crises, said co-author Steven Gorelick, the Cyrus Fisher Tolman Professor in the School of Earth, Energy & Environmental Sciences and a senior fellow at the Stanford Woods Institute for the Environment. "Jordan is a peaceful and generous country that has absorbed hundreds of thousands of Syrian refugees," Gorelick said. "The U.S. has an opportunity to help Jordan deal with the consequent stress of inadequate water supply, which will improve its political stability, so it's really in our best interest to do so." Countries in the Middle East and North Africa are over-pumping groundwater. In Jordan, where people depend on groundwater for 80 percent of their freshwater, levels are dropping 3 feet each year and will likely be depleted by 30 to 40 percent within the next 15 years. Refugee migrations from conflict-torn lands and global warming-related extreme weather will likely worsen the situation. A related Global Freshwater Initiative study finds that 45 percent of major cities solely dependent on surface water will be unable to simultaneously meet human, environmental and agricultural water demands by 2040. 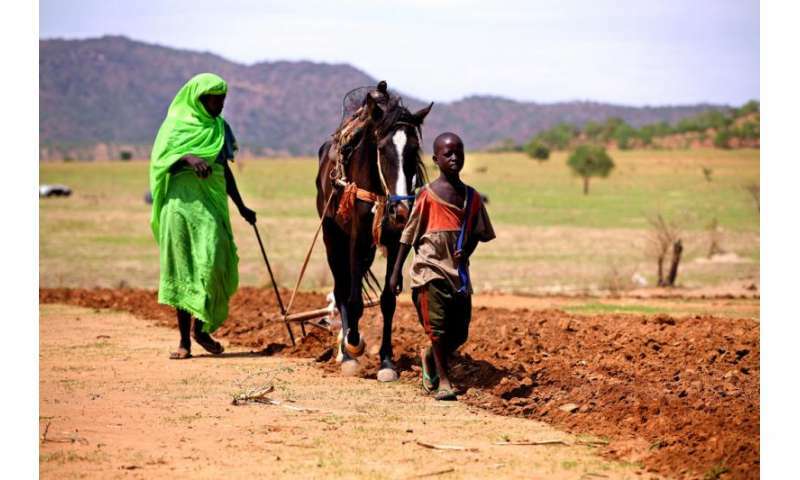 A woman and boy plow a field using a horse in Goz Beida, Chad, where sanitation is lacking, water supplies are dependent on surface water and rainfall is extremely variable. Water vulnerability is a crucial issue as countries attempt to slake the thirst of growing populations. In the past 50 years, the amount of water withdrawn for human use has tripled. Access to water is a national security matter, crucial to agriculture, industry and ecosystems. "We have often incorrectly assumed that the lessons of water challenges in one country are not transferable to others," said study co-author Barton "Buzz" Thompson, the Robert E. Paradise Professor in Natural Resources Law and the Perry L. McCarty Co-director of the Stanford Woods Institute. To the contrary, the study suggests a range of commonalities that decision-makers and aid agencies would do well to consider. For example, Vietnam, Guatemala and Sri Lanka were found to share vulnerability factors such as high population densities, high numbers of species needing protection, low governmental transparency and a lack of water regulation enforcement mechanisms. Many countries of North Africa and South Asia share struggles with water quality threatened by poor sanitation, low volumes of renewable freshwater and high dependency on neighboring countries for freshwater. 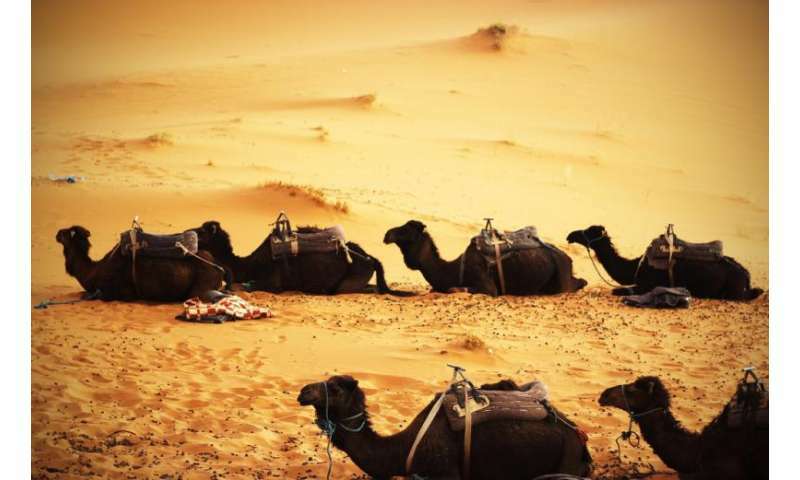 Camels transport the goods and people of Turkmenistan across a land which is 80% desert. Renewable groundwater accounts for only 1% of the country's total freshwater supply, which is highly dependent on inflow from upstream neighbors. 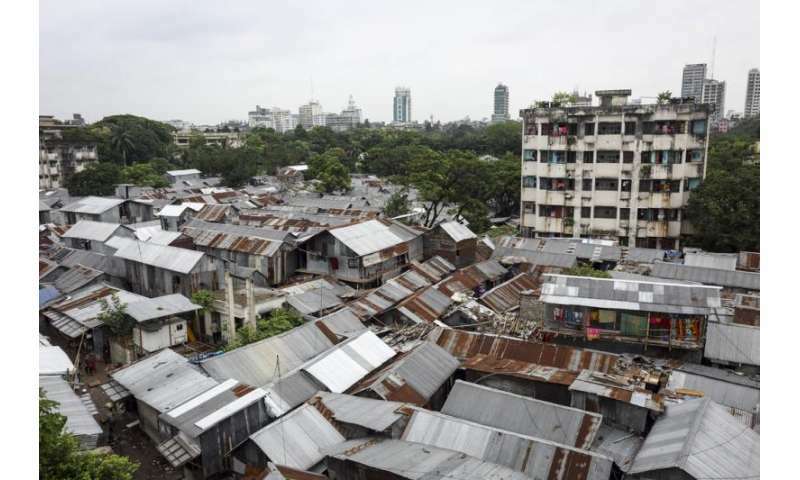 The Sattola slum in Dhaka, Bangladesh, where demand for freshwater increases with the size of the population. Over the past 50 years, the global population has doubled while the total volume of water withdrawn for human use has nearly tripled.